Home - Exquisite Termite Control Inc. 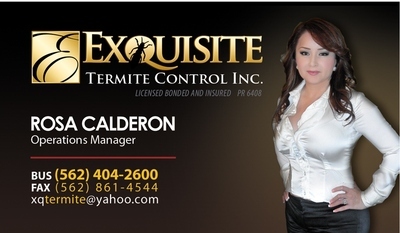 Welcome to Exquisite Termite Control Inc's new website. Licensed Termite Inspector... Certified Commercial Property Inspector... Investment properties are our specialty! Don't delay contact me today!